The nomination deadline is Monday, April 15, 2019. Winners will be announced at the School’s Out, Make it Count Conference on Oct. 19, 2019. 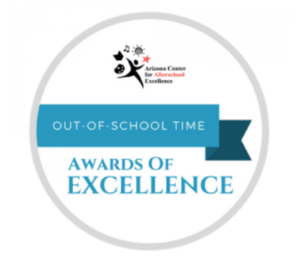 The Annual Arizona Out-of-School Time Awards of Excellence recognize innovative programs and staff members for their excellent work in providing quality Arizona youth programs.